On THEREPTILIAN.co.uk you can find information on keeping reptiles, amphibians, Invertebrates and other exotic pets. The Reptilian.co.uk is a website built with exotic pet keepers in mind, with the aim of helping both exotics enthusiasts and beginners who are thinking about keeping an exotic animal as a pet, be it lizards, snakes, Invertebrates, spiders, hairless or fancy mice or even crabs! We have a range of extensive care sheets, which are divided into clearly defined sections, so that the information you are looking for is easy to find. We have a growing photos page, with many reptile and exotics photographs for you to enjoy and appreciate. Many of these photos are submitted by our forum members...Why not email a few photos of your own exotic pets across? If we like them we'll add them to the photos page! The Reptilian Forum is a place where you can chat about and discuss your exotic pets with other Forum members. It's a good place to look for help if you have any questions regarding your animals and their general care. We have many regular members who will eagerly offer advice and you can also post photos, links and more. THEREPTILIAN.co.uk is the Mother/Umbrella site to a series of specialist animal related websites, each of these websites contain a host of detailed information about a certain animal and their recognised species and sub species. 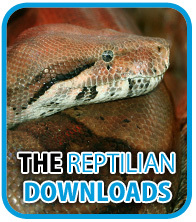 TheReptilian.co.uk itself holds information of a wide range of exotic pets. 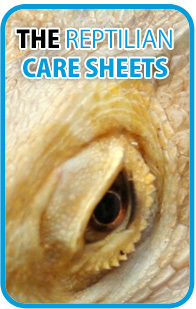 We have a growing number of Care Sheets covering almost every type of exotic pet. THEREPTILIAN.co.uk is a non-profit website. If you enjoy using our forums and find the information on this website beneficial, please consider making a donation.